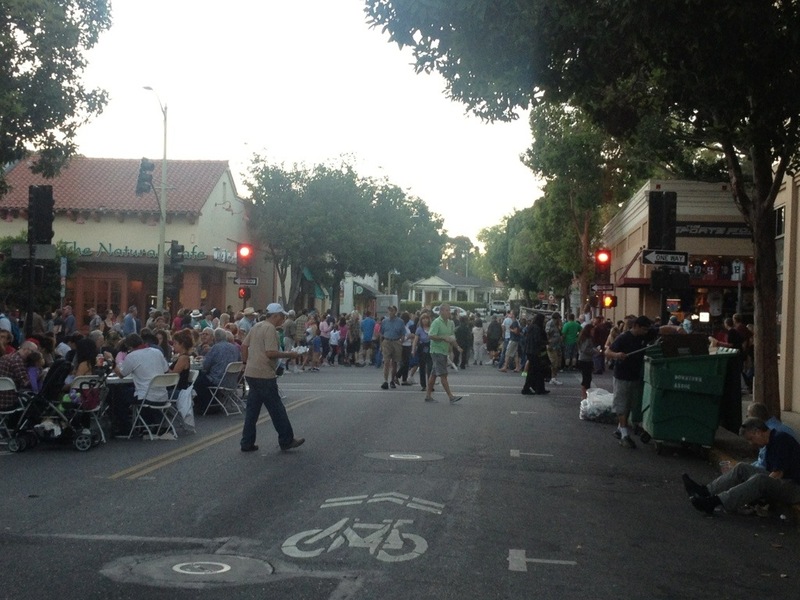 On Thursdays San Luis Obispo transforms from a quiet rural town to a thriving festival with the weekly Farmers Market. Finally a chance to get some truly local fare. We’re all adults, so let’s start with desert first. 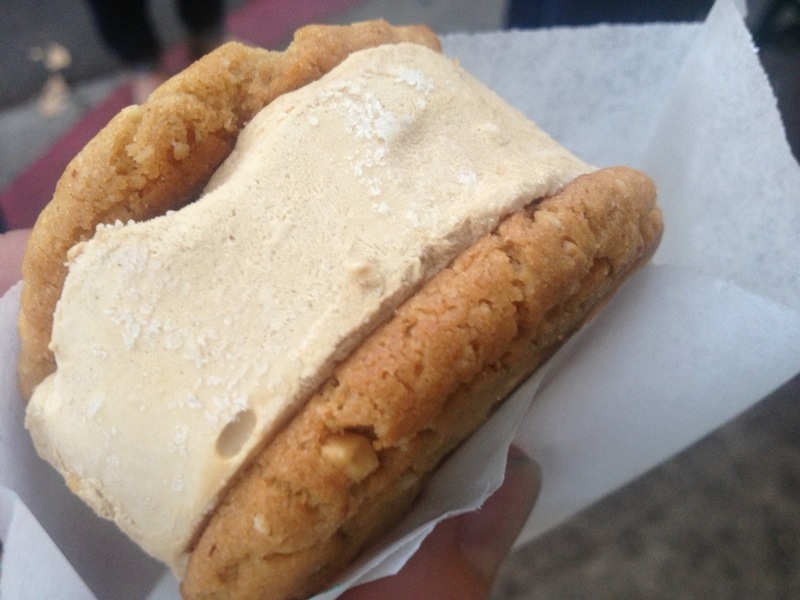 Ice cream sandwiches at Batch! Nice warm peanut butter cookies with a generous scoop of creamy coffee ice cream. 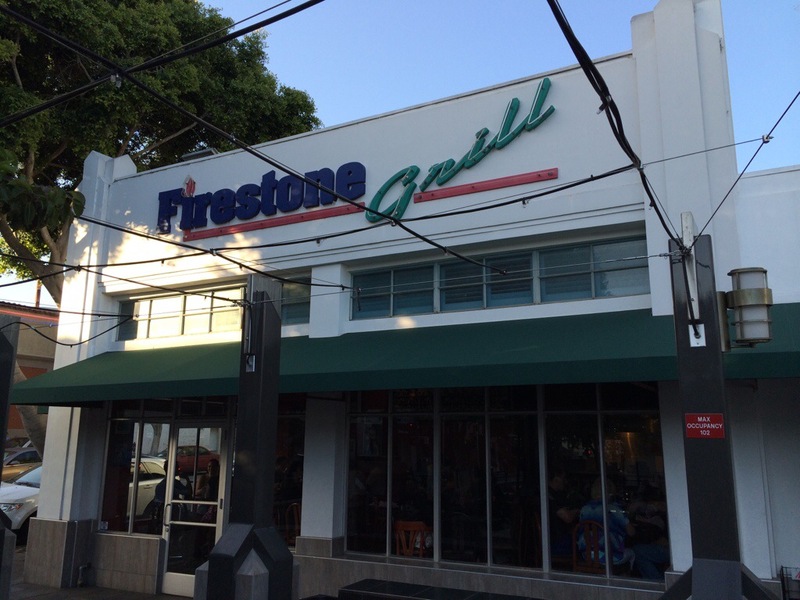 For dinner I decided on Firestone Grill because everybody swears by their tri-tip sandwich and fries. It was on the corner, just past the end of the market, so easy to step in, but the line was huge! I recommend going on an off night since its apparently fairly crowded at lunch too. The line does move fast though, and food rolls out quickly considering the crowd. The tri-tip was great. Silky smooth and tender, but not smokey enough for my tastes. Everyone says the fries are laced with crack, but I didn’t care for them. Though they were generous with the seasoning, it was mostly salt. So a lot of seasoning meant a lot of salt, which I guess is good in a college bar hangout. 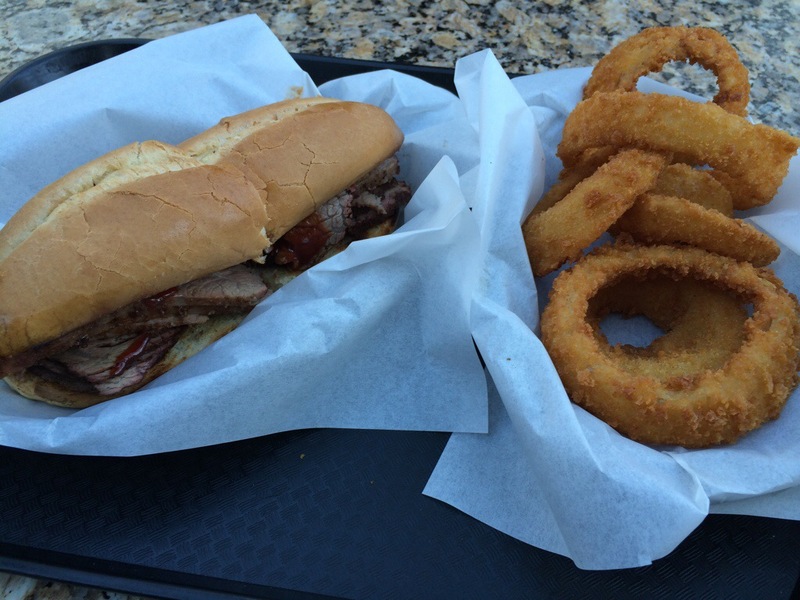 If you’re in town, do stop by for the tri-tip though. You won’t be disappointed. Posted from Avila Beach, California, United States. At first glance, Custom House is your typical bar and grille. What makes it stand out however is its magnificent view of the Pacific with a panoramic stretch from Port San Luis to Pismo Beach. Located on the boardwalk in Avila Beach across from the pier, this is a surprisingly large restaurant for the tiny cluster of buildings and sandy cul de sacs that make up this one stoplight town. 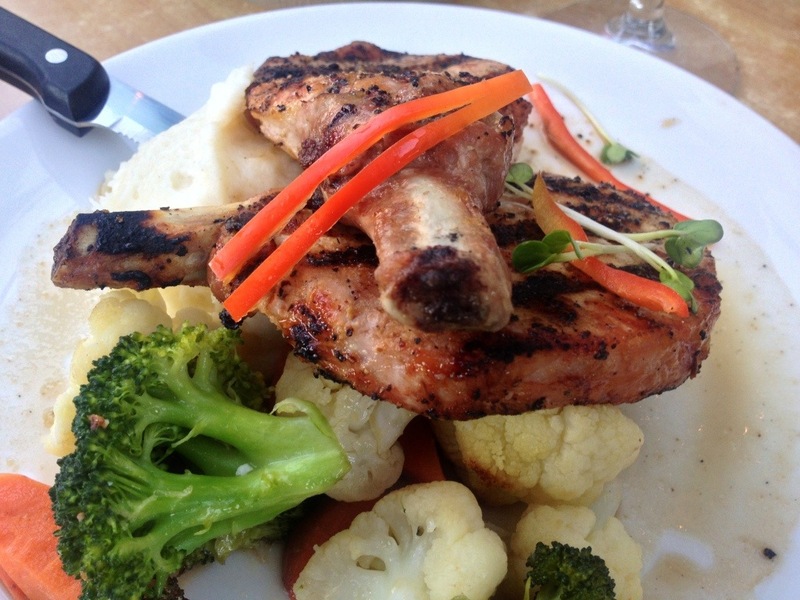 The menu is typical grille fare, naturally weighted towards seafood. Our group started with some appetizers, quesadillas and potstickers. The quesadillas had a generous amount of avocado and Hatch green chiles in them (yay for picking season!) but otherwise were fairly generic. For the main course, most of our party opted for seafood, but being a landlubber, I went for the pork chops. Nicely seasoned and grilled, these were very tender and flavorful. There was nice sear lines from the grille (instead of your usual pan-fry) but overall this was an uneventful dish, and overpriced. 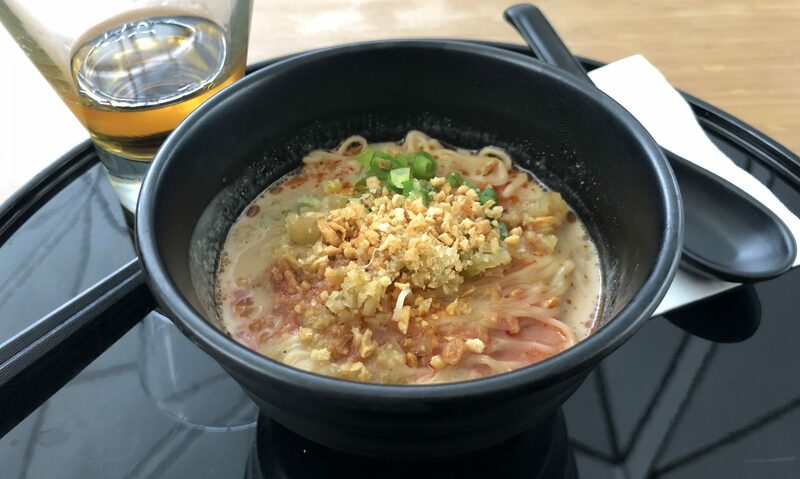 In fact, looking through the menu, everything was overpriced, and beach-front-dining wasn’t enough compensation, as picturesque as the view was. The one thing that did stand out was dessert. 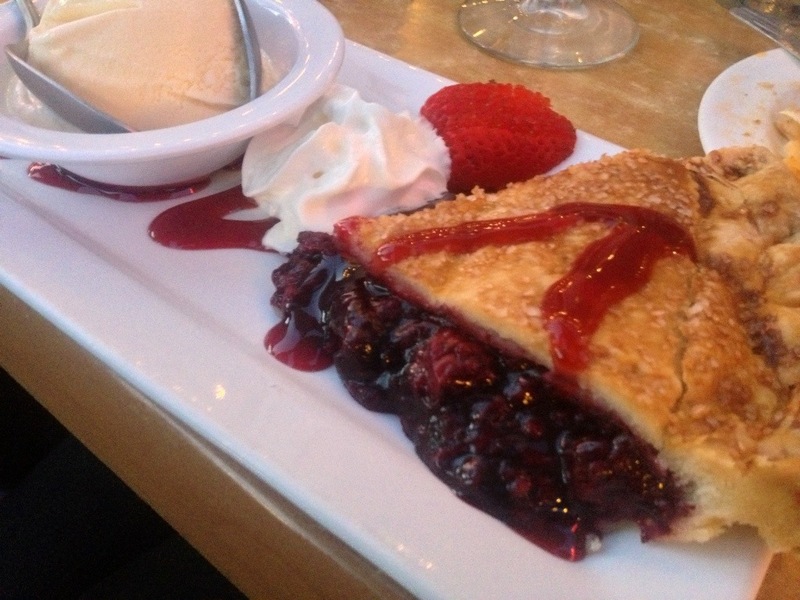 I opted for the Olallieberry pie. Olallieberry is a berry grown primarily in the San Luis Obispo area, and I’ve never seen products made with it sold anywhere else. It’s like a giant boysenberry, but a little less dark, a little lighter in flavor, and a little more tart. It makes for a great pie, especially when served with a generous helping of vanilla ice cream. There are other sources for pies in the area, namely Avila Valley Barn, an expanding farm stand / agritourist stop off the 101 just south of San Luis Obispo. I made sure to stop by and pick up a whole pie on my trip home. The pies are light in flavor, and a little runny, but definitely worth a taste. Skip Custom House though unless you can’t drive back to San Luis Obispo, and pick up your pie at Avila Valley Barn. Stuck in the office for lunch doesn’t seem to be so bad, as the San Luis Obispo Rosetta crowd has a pretty organized lunch order process for the fairly large staff. Today’s restaurant was Tahoe Joe’s Steakhouse. 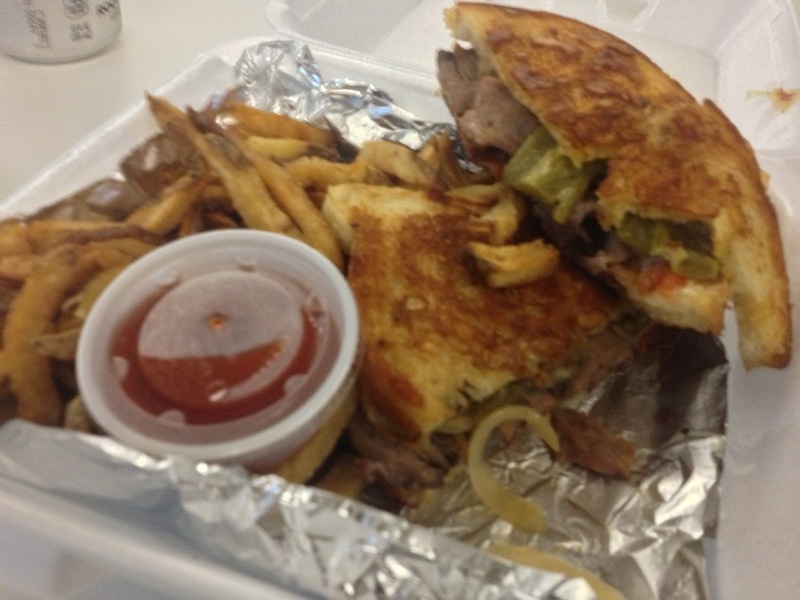 I selected the namesake steak sandwich, figuring that would probably be the best sampling. When it finally arrived, I was getting really hungry, and upon opening the box I was practically drooling. Unfortunately the looks belied the taste. Although the bread looked nicely grill-toasted like you’d find at a diner, it was soggy. The fries were very soggy as well, bland, and the seasoning just made them salty and not worth eating. This is the downside of order-in food. However, the meat itself was lukewarm, but tasty, smokey beef and bacon, with a flavorful cheese. Had this been order-in instead of delivery, it probably would have been a fantastic sandwich. Being hot and fresh matters. As it was, I was disappointed and had to trudge on with my day dissatisfied.